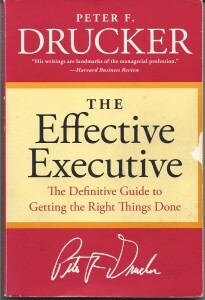 Peter Drucker’s The Effective Executive was first published in 1967 and has been in print ever since. I first read it during the 1980s. When I began to coach general managers and owners of small businesses I re-read it with a fresh perspective. 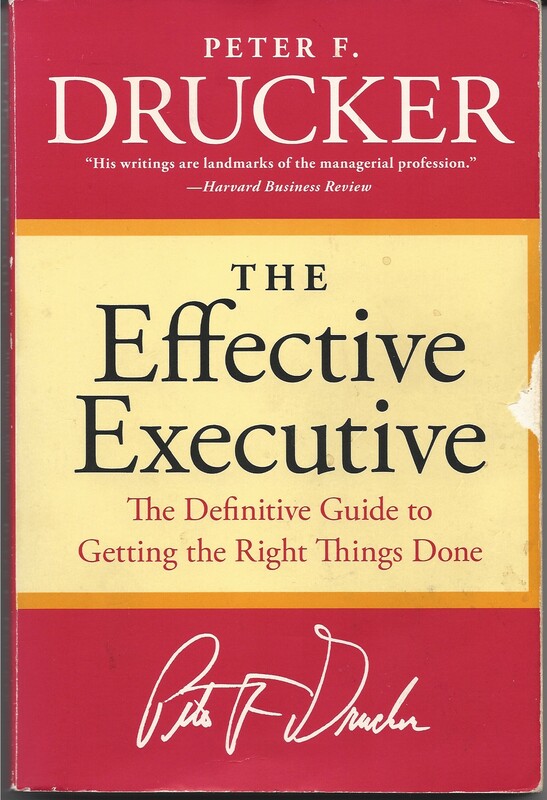 The Effective Executive continues to be a book that I return to for its little pearls of wisdom. Once you get over the now obscure examples from WWII and the 1950s and its dated language (e.g., the pronoun “she” never appears), it remains a most useful and continuously provocative statement of the tasks of the general manager. Here are a few quotes for illustration. Find this little book (183 pages long), read it. You will be enriched. Why Should You Develop a Business Plan for Going Concern, How to Do It, and How Do You Convert the Plan Into Action? Why Should You Develop a Business Plan? For every startup the development of a business plan is a required first step. It is so obvious – business schools have course on writing the business plan and it is impossible to get funding without one. Teams coalesce around the labor. So, every startup has a business plan. This is not a good situation. A business without a plan is like a boat sitting in a pond just waiting to sink to the bottom for nature to compost it. Or, if it has the fate to be afloat in a stream, it will be carried along willy-nilly until it bumps into a stone or dead branch or reaches the ocean where nature will also send it to the big composter. Every business exists in a world that is changing and filled with opportunities and threats. Your business plan is your set of oars to provide the means to pull in the direction you want to go in, to avoid the rocks. You might even row to shore and portage around the falls, to move to an entirely new river. But, many people, even accepting the wisdom of having a plan, find it a painful exercise, all too easily avoided. This may be driven by the idea that a business plan involves dozens of pages of writing, lots of spreadsheets with numbers they really don’t believe (sometimes don’t understand). Business plans, strategic plans, these are just the exercises one does in business schools. Or it may be the folk wisdom that business plans are not a useful part of managing and they always end up on the shelf or hidden in a file cabinet only dusted off for display when in search of a bank loan. Most professional services firms, and many other companies where services are a significant component, are troubled by customers who do not perceive or understand the true value of what they are providing. They have difficulty getting customers to pay for upfront diagnostic/assessment work, concept modeling, prototype development, and so on. In some cases, professional services firms have difficulty sustaining the customers awareness and proper valuation of the work done during an engagement. This is a problem in financial services, for example, where planning and execution services seem invisible, or entirely obvious, and thus not valued by the customer. After all, I can do stock trades myself on the Internet. Where is the value-add from paying a financial services firm a management fee to do that? Here is a conceptual model for improving how customers value services. A breakthrough first step in time management to become a more effective manager. The podcast is 6 minutes 14 seconds long.